Nokia may be turning its handset business over to the Big M soon, but it may still have one more smartphone surprise up its sleeve. That is, if Microsoft lets Nokia unveil it. The Finnish firm has scheduled a press event for next month's Mobile World Congress, and it's during the February 24 gathering that it could launch the rumored Android Normandy phone. Nokia sources speaking with The Verge said the company was planning on debuting Normandy in Barcelona. The press event date almost matches a recent leak that suggested a February 25 Normandy reveal. Although the stars look aligned for a MWC debut, with Microsoft's purchase of Nokia's device and services division expected to close the quarter, it's doubtful Redmond will let Finland announce (let alone release) and Android phone. If Nokia doesn't get the chance to show off Normandy at MWC, it may still have another hardware trick to perform. We could be in for the Lumia 929 "Icon" Windows Phone, though admittedly it would be a little strange to launch a device seemingly destined for US carrier Verizon during a giant European tech event. Don't look for Microsoft to have a big presence at the MWC 2014, however more Verge sources say April's Build conference will have plenty on Windows Phone 8.1. 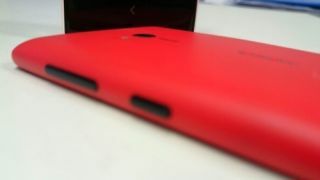 TechRadar will be on the ground at MWC and Build, so stay tuned for all the latest. See our vision of what a Nokia/Google hardware collab would look like!